A 51-year-old Russian man who was in Oslo last week to take part in a seminar on digitalization at the Norwegian Parliament was arrested at Oslo’s main airport at Gardermoen as he was leaving the country Friday evening. He’s charged with espionage, and was ordered during the weekend to be jailed for at least the next two weeks, as Norway’s police intelligence unit PST investigates. Details remained sketchy after Norwegian media broke news of the arrest Sunday afternoon. The man had taken part in the seminar at the Parliament on both Thursday and Friday, when he allegedly behaved in a manner that sparked suspicions among Parliament employees. “We contacted PST (Politiets sikkerhetstjeneste) because we observed strange behaviour by one of the participants,” Marianne Andreassen, the new administrative director of the Parliament, told Norwegian Broadcasting (NRK). She would not specify what he did that aroused suspicion, nor would she comment on whether the man had any unusual equipment or what information he allegedly was seeking. NRK reported that the seminar itself was arranged by the European Centre for Parliamentary Research and Documentation (ECPRD). A PST spokesman said it was unusual for the intelligence agency to arrest a citizen of another country in Norway and charge the person with illegal intelligence-gathering activity. “This is not an ordinary investigation for us,” Trond Hugubakken of PST told NRK. 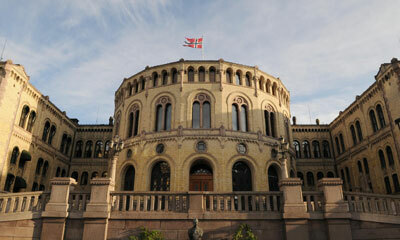 PST and officials at the Parliament (Stortinget) are receiving assistance from Norway’s national security authority NSM. The Russian man has been provided with a defense attorney, Hege Aakre, who said he can’t understand the charges against him. “He thinks this is all based on a misunderstanding,” Aakre told NRK. She said he was cooperating with investigators and wants to contribute towards clearing up the case. The Russian Embassy in Oslo branded the arrests and investigation as “absurd,” and stated that it was providing consular assistance to the Russian man. The embassy wrote on social media that it condemned the arrest and jailing of the Russian citizen, claiming it was all based on circumstantial evidence. The arrest comes nine months after a retired Norwegian border inspector, Frode Berg, was arrested in Moscow in December of last year. Berg remains in custody and speculation immediately arose over whether Norwegian authorities will attempt to exchange its new Russian prisoner for Berg. Neither Prime Minister Erna Solberg nor her foreign minister, Ine Eriksen Søreide would comment on the arrest. Both of them are currently in New York for this week’s UN General Assembly. Solberg told NRK she was informed in advance that PST would arrest the Russian spying suspect at OSL Gardermoen on Friday. 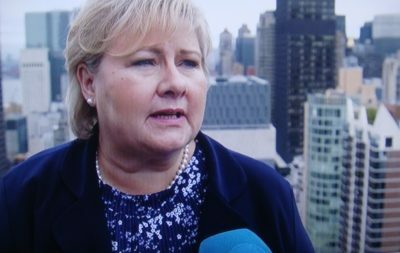 “It’s up to PST and the courts to handle this case under Norwegian law,” Solberg told NRK.